Meze Mundo is a world music street band formed at the Sage Gateshead in 2005, and is now a diverse group of instrumentalists from around Tyneside, Northumberland and Durham. We rehearse on Wednesday evenings, 7.00 – 9.00 at the British Legion Club, Jesmond. Our brass and woodwind sections include alto, tenor and baritone saxophones; together with clarinets, trombones, and tuba / helicon bass horn. These are complemented by the lighter textures of flutes and violin. Our rhythm section includes banjo and various drums and percussion instruments. Musicians who are interested in the band are invited to contact us http://mezemundo.co.uk/wordpress/links-2 . The instruments we need vary from time to time and we will let you know what vacancies we have. Acoustic and portable instruments are appropriate for playing in all kinds of locations – indoors and mostly outdoors, and sometimes on the move. You will need a good basic grasp of your instrument. This includes, for melody instruments, the ability to read music or otherwise pick up the parts quickly, and a willingness to improvise solos. We play mostly in a handful of flat keys suited to brass and woodwind instruments, eg concert F, Bb, Eb. 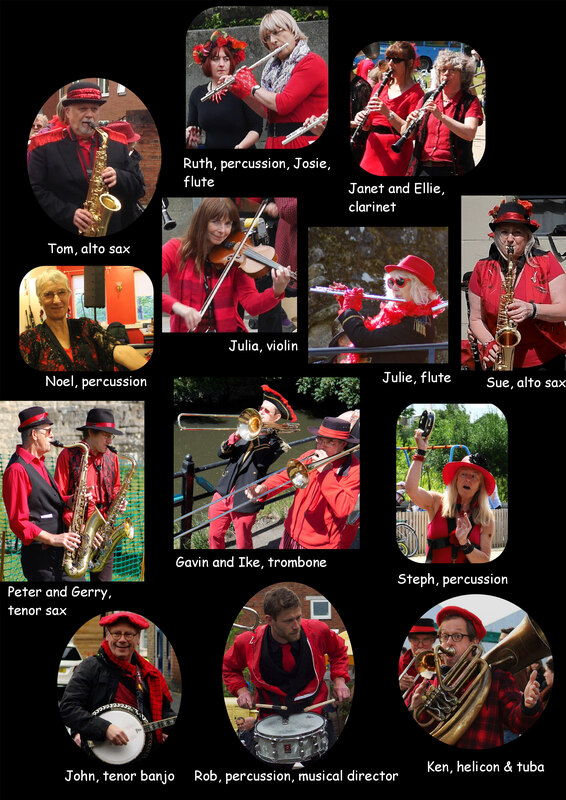 Our music is very varied, including Caribbean ska, Latin American, klezmer, Balkans, pop tunes, African township jive, New Orleans and jazz.